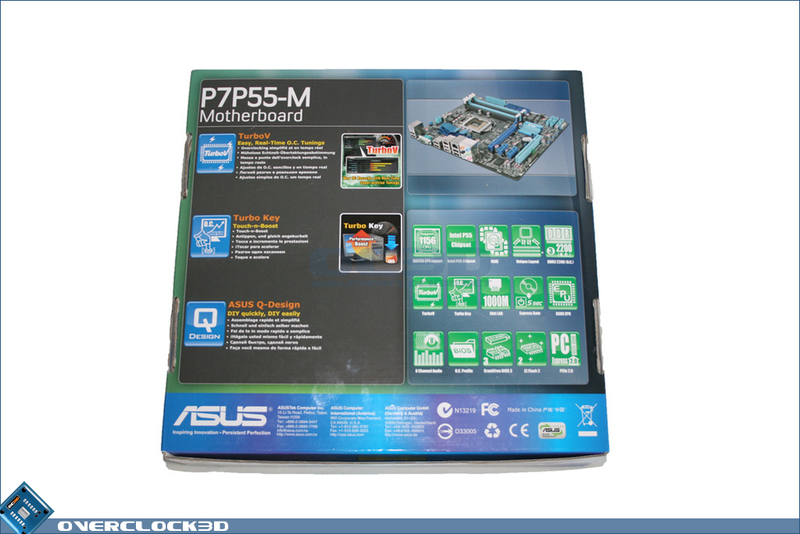 In typical Asus style, the outer box is glossy in appearance an perfectly matches the current range of P55 motherboards from the Taiwanese manufacturer. 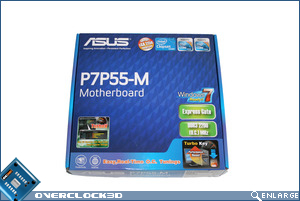 The base features are displayed upon a fetching blue backdrop with Asus keen to point out this motherboard is a capable performer supporting memory speeds of upto 2.2GHz (O.C) as well as supporting the 'Turbo V' feature of performance Asus mainboards. 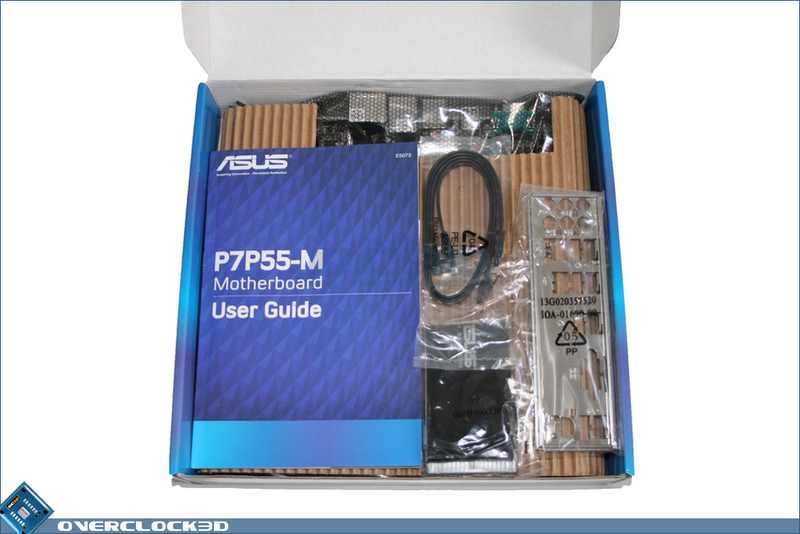 Flipping the box over, Asus go into greater detail explaining some of the key features the board possesses. Turbo V, Turbo Key and Q-Design features are just some of the attractions in store for the potential buyer of this product. 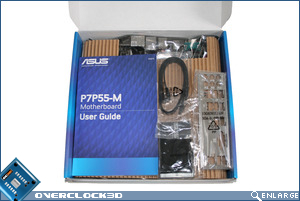 Opening the box up, we are greeted with a very basic compartmentalised setup with a thin sheet of corrugated cardboard separating the accessories from the mainboard itself which is contained within an anti static bag. 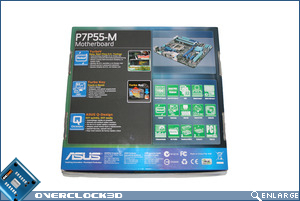 No other protection is afforded to the mainboard so fingers crossed, this product will arrive to you in one piece. 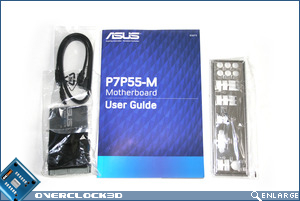 The accessory list is fairly sparse as far as motherboard accessories go with just an IDE cable, 2xSATA cables, an I/O shield and a users manual with Driver CD. 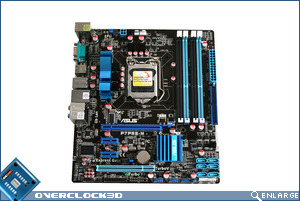 The mainboard itself is predictably coloured in the Sky blue we have become accustomed to with the current crop of Asus motherboards. Not that thats a bad thing you understand as the board is certainly attractive but it seems every man and his dog are now presenting their boards with the same colour scheme. 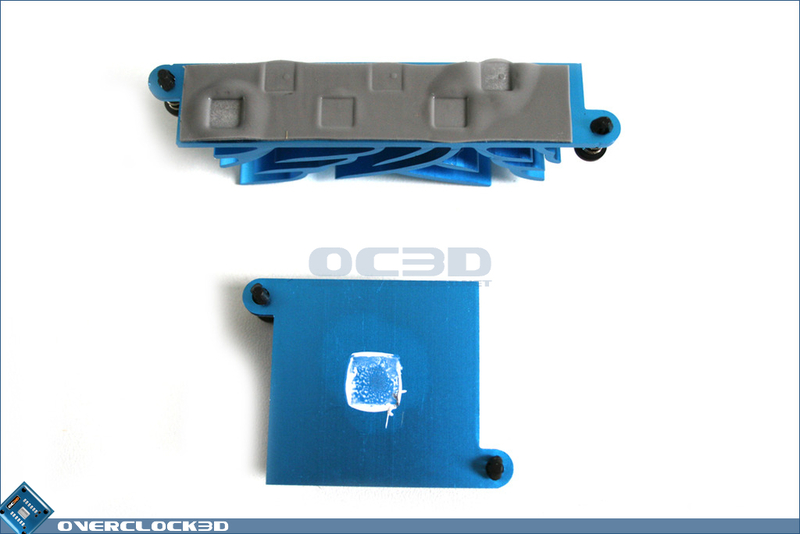 That said, the two tone blue and black affair will look stunning with the right set of components installed and should be the envy of all who see it should you make use of a case with a window. 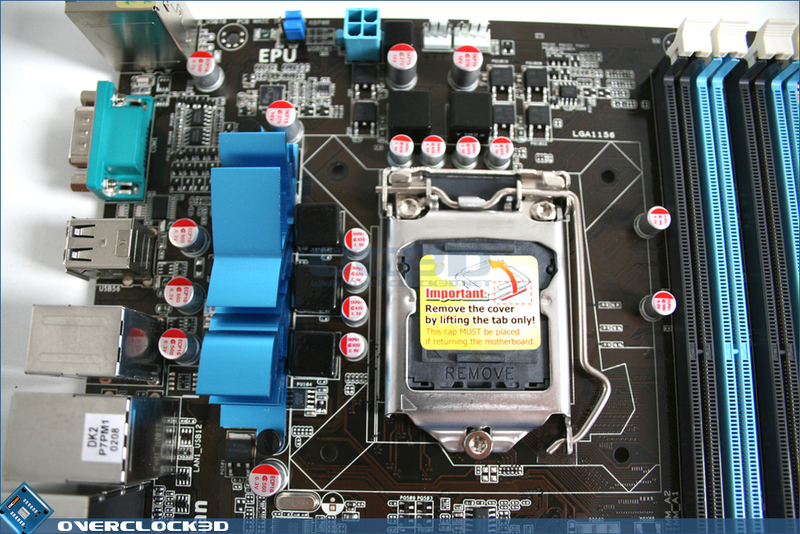 The rear of the motherboard is nothing too interesting and thankfully has little that will get in the way of installing a heatsink backplate. 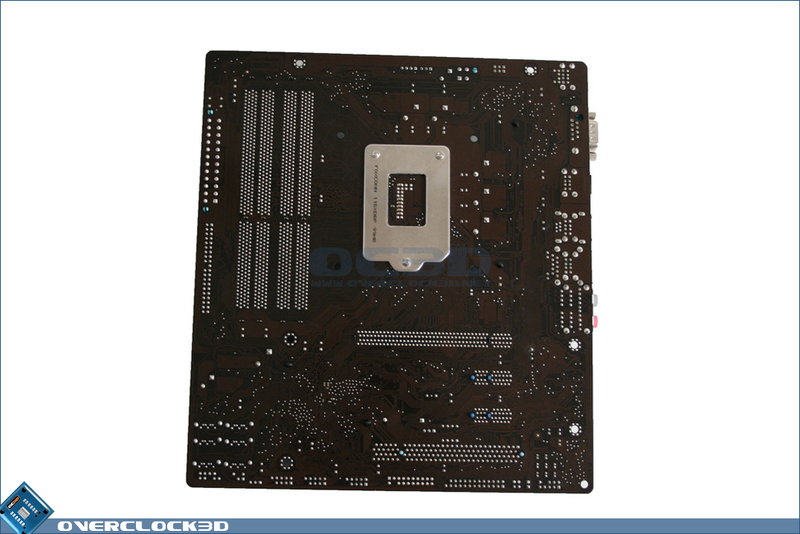 The LGA 1156 socket supports both Core i5 and Core i7 (new) processors and is relatively clean apart from the 5 chokes and eight solid capacitors surrounding the new lever frame mechanism. I doubt anyone would be using phase change or DICE on such a product so the area around the socket should be of little concern but those wishing to use an oversized cooler also need not worry as there is plenty of room for installation. 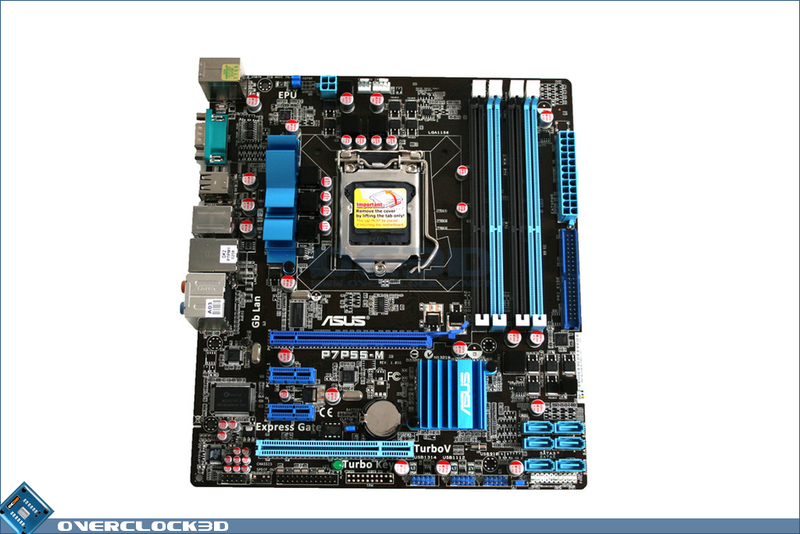 The proximity of the memory slots though, as with all P55 motherboard tested thus far, may present a problem. 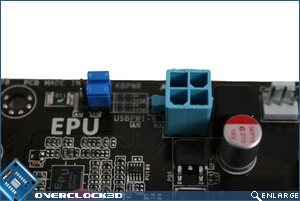 While your average CPU cooler should pose no problems, those looking to take advantage of oversized CPU cooler should be aware that they may potentially lose the option of using all four memory slots, the nearest to the CPU socket being rendered useless by the sheer size of some of the coolers on the market today. 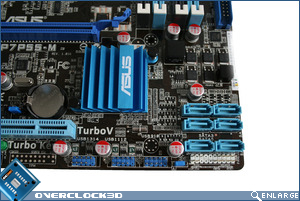 Worthy of note is that Asus have used a design we are seeing more and more of with memory slots. 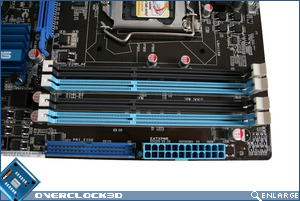 The ends closet to the primary PCIe slot have had the tabs removed allowing memory modules to be added or removed without the need to remove the GPU first, excellent news for those tight on case space such as those who no doubt intend to buy this mainboard. 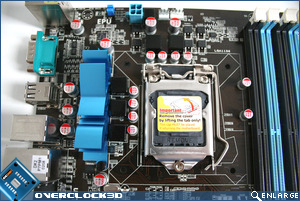 The P55 chipset is hidden beneath a basic square aluminium heatsink that is held to the mainboard by two spring loaded push pins. 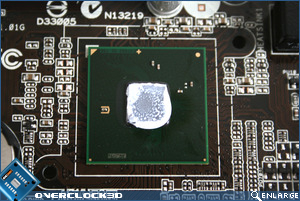 While testing the chipset did not get overly hot so the need for extravagant cooling is perhaps not needed. 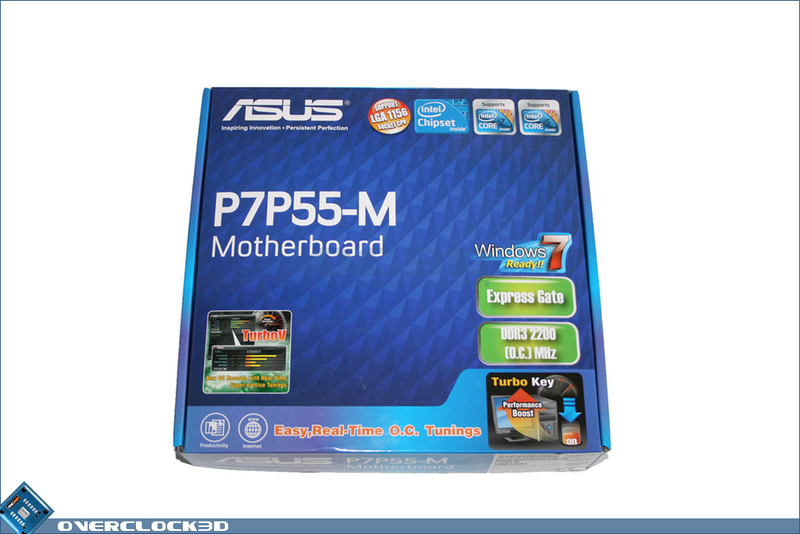 As this board carries the P55 chipset, it can support 6 SATA devices which are neatly stacked toward the bottom corner of the mainboard. 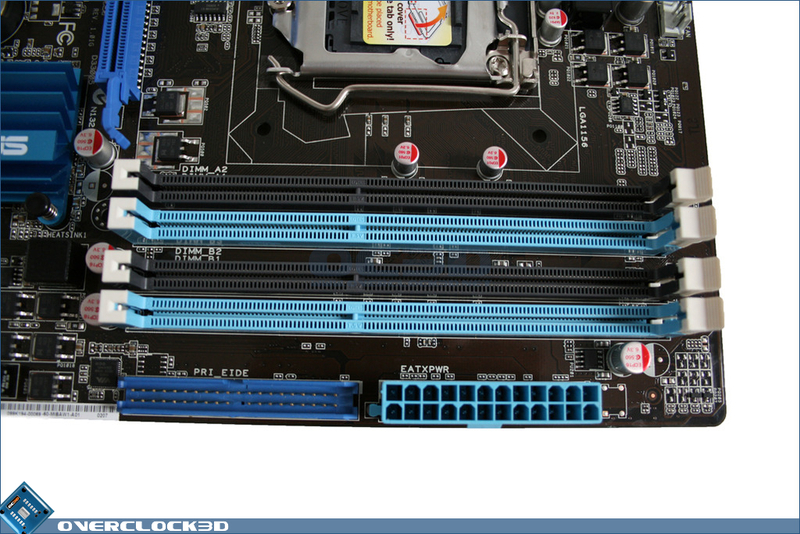 Normally, I would prefer to have seen these placed perpendicular to the board though as in the upright position they would clash with long graphics cards that may be placed in a secondary PCIe x16 slot but as this board has a legacy PCI slot in place of where you would expect the 2nd PCIe 16 slot to be this is a none issue. 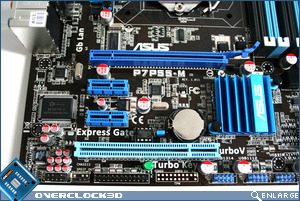 Above this PCI slot you will also find 2x PCIe x1 slots which are rapidly becoming the norm for basic sound and expansion cards. 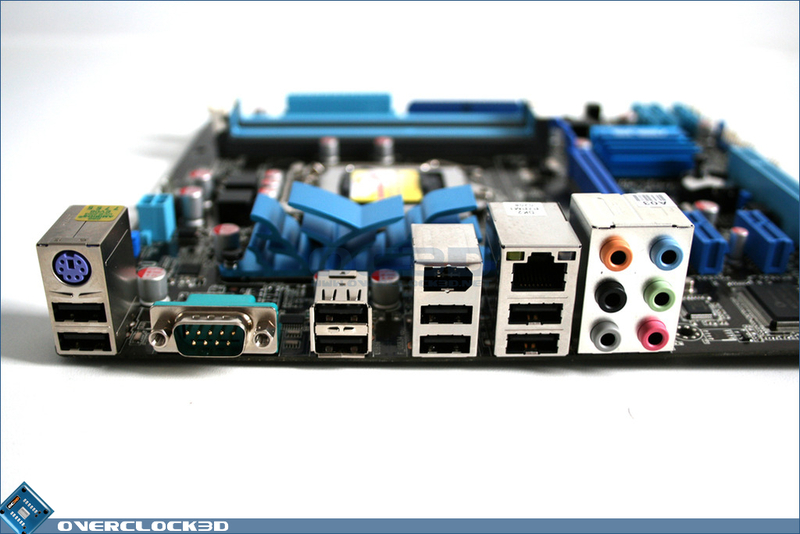 The backplate area is akin to what you would find on a full size ATX motherboard with 8xUSB ports, full 8 channel audio courtesy of VIA, a 1394 port, Gigabit LAN port, PS/2 port and even a COM port. I would liked to have seen an optical port for the audio on there but this is just a minor point on what is a very well laid out area. 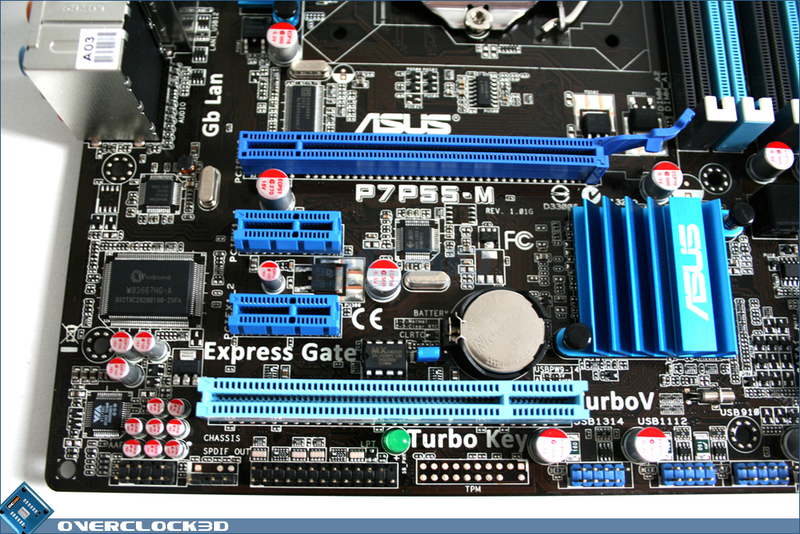 Those keen eyed may have noticed that this board does not have the usual 8-pin 12v ATX power port, instead the old 4 pin power port is in-situ. 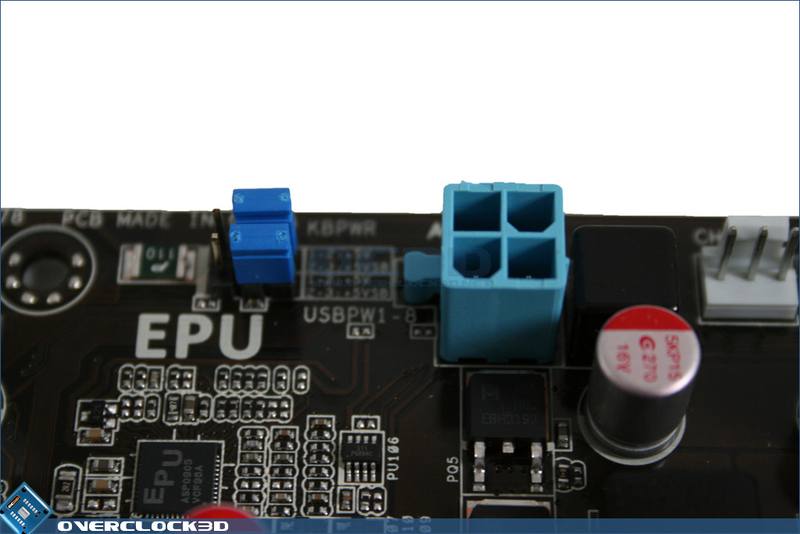 Users of 8-pin ATX PSUs should not worry though as the 8 pin cable can still be used for this slot thanks to Asus leaving sufficient space between the power port and the USB/keyboard wake up jumpers. 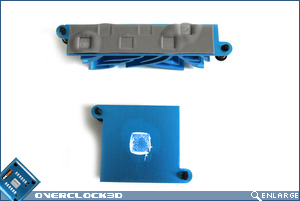 Removing the chipset heatsink was a doodle and thanks to its universal size could be watercooled easily or swapped out with a better air cooling design of your choice with relative ease. 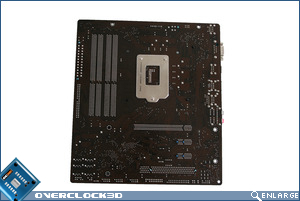 However, because the heatsink sits just below the PCIe x16 slot, users who intend to use GPU's with dual slot coolers will find this difficult. 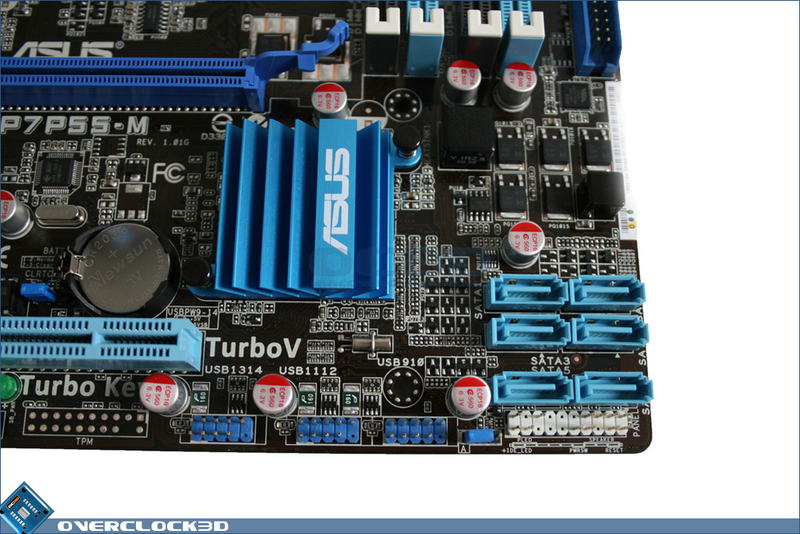 The heatsink itself had good contact and made use of ceramique type paste which seemed to do the job nicely. 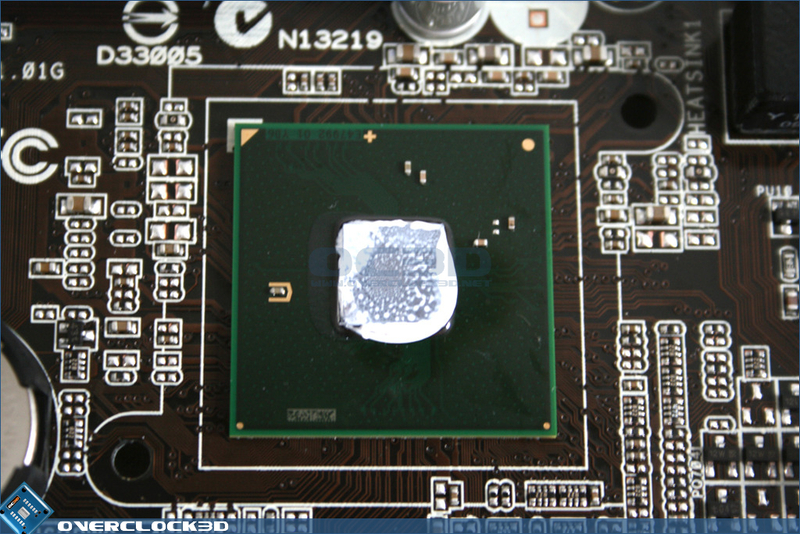 The single MOSFET cooler used thermal tape as its method of heat transfer, again seemingly performing fine. 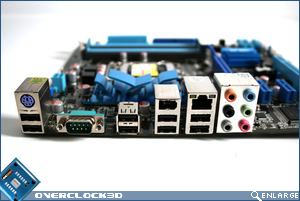 All in all a very well laid out motherboard. I am happy to report I did not encounter any surprises while over viewing the P7P55-M with everything appearing to sit where it should. My only gripe with the overall package was the mean amount of included accessories. 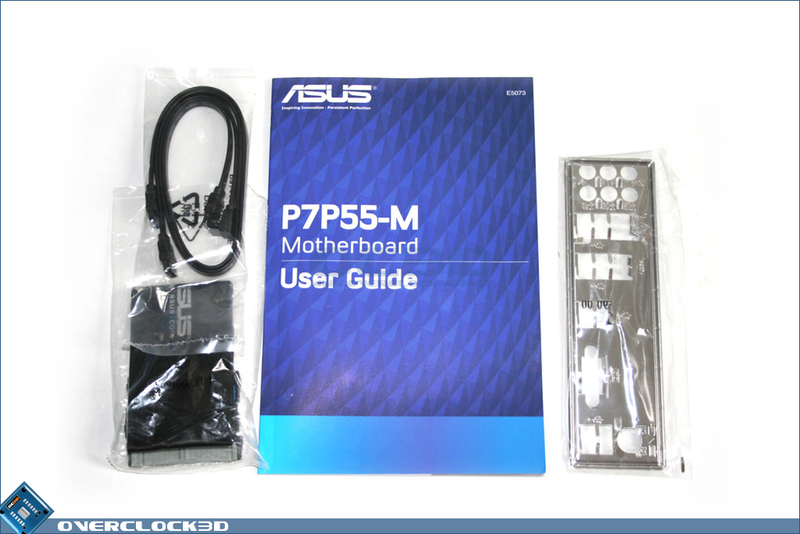 Asus are never normally ones to be stingy with the amount of goodies supplied so to omit items such as Q-connectors and USB backplate adaptors is odd. While it no doubt keeps the packaging costs down I still think items such as this should be included.